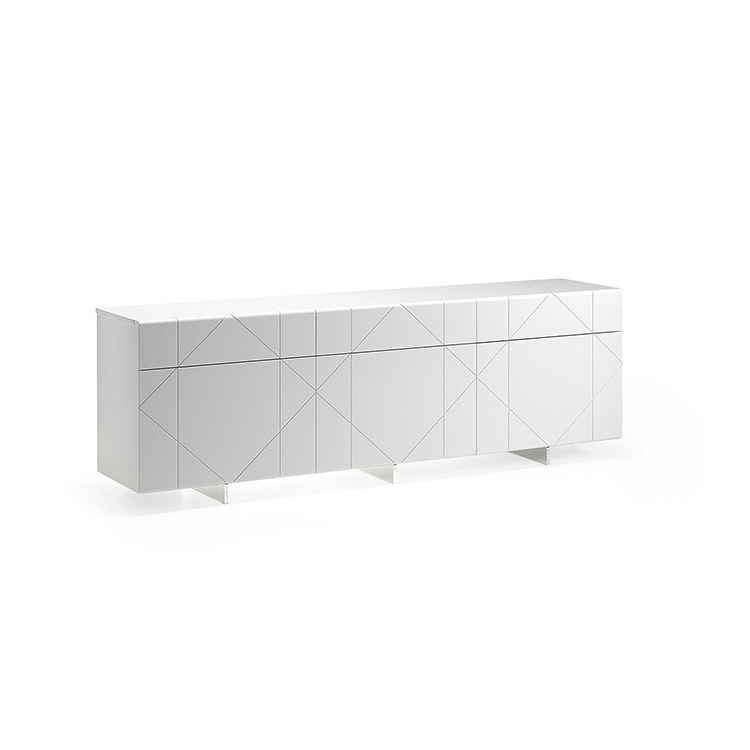 Sideboard with matt white or graphite lacquered doors and drawers. Feet in transparent methacrylate. Internal shelves in clear glass on demand.